MOSCOW (Sputnik) - The report of the Organization for the Prohibition of Chemical Weapons (OPCW) shows that former Russian double agent Sergei Skripal and his daughter Yulia could not be poisoned with a Novichok-class nerve agents, Leonid Rink, one of the Novichok creators, told Sputnik. The OPCW said in its report, issued earlier in the week, that a toxic chemical of high purity was used in the attack. "OPCW data saying that a toxic chemical of high purity was used proves that it was not Novichok…. Novichok is a complex nerve-paralyzing substance consisting of a mixture of many different components and additives that decompose in different ways. If a pure substance was found, it could not be Novichok," Rink said. He noted that if it was Novichok, the OPCW would have found different components that disintegrate into non-toxic components over time, and thus they would not be able to make statements on the chemical’s toxicity. The expert also stressed that if pure Novichok was indeed present in the substance found on the handle of the front door of Skripal's home, Sergei and Yulia would have died right on the spot after exposure to the chemical. Furthermore, Rink said that the OPCW report contradicted the words of Vil Mirzayanov, who referred to himself as one of the creators of the Novichok-class nerve agents. 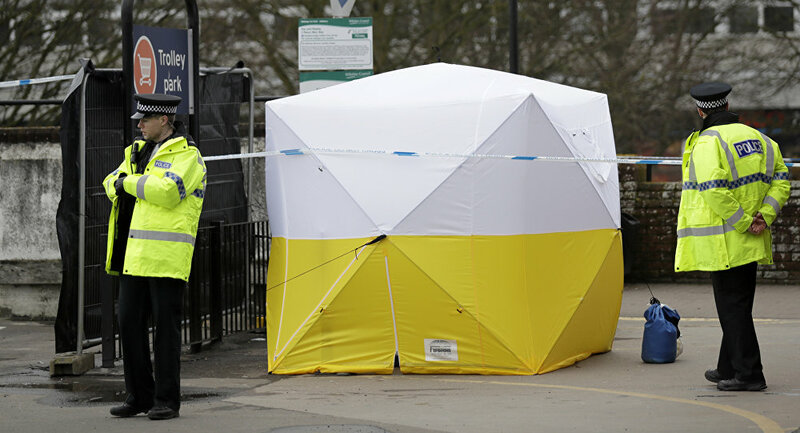 Mirzayanov said that the toxin did not kill Skripals since the substance is vulnerable to humidity, and there was fog in the United Kingdom on March 4, the day of the poisoning attack on Skripals. "This is a fair remark, because the Novichok is a very unstable substance, which depends on [exposure to] water, on alkalis, on everything. But then the experts would have found the products of hydrolysis, and certainly not a pure substance," Rink emphasized. According to Rink, Skripals could have been poisoned by fentanyl that is used in the production of narcotic substances. He added that symptoms of recovery of Skripals were similar to those of fentanyl poisoning. Rink noted that Skripals might have been sprayed with fentanyl while sitting on the bench where they were found unconscious. "Fentanyl immediately brings a person down. He falls immediately. The effect of fentanyl is instant," Rink said. Moreover, the fact that no one has seen Skripals in person after the attack indicated that allegations of exposure to Novichok were false, he said. Rink added that Novichok affects the victim's eyes, but the UK authorities had never mentioned such a symptom in any of their statements on condition of Skripals. Skripal and his daughter Yulia were found unconscious on March 4 on a bench at a shopping center in the UK city of Salisbury. 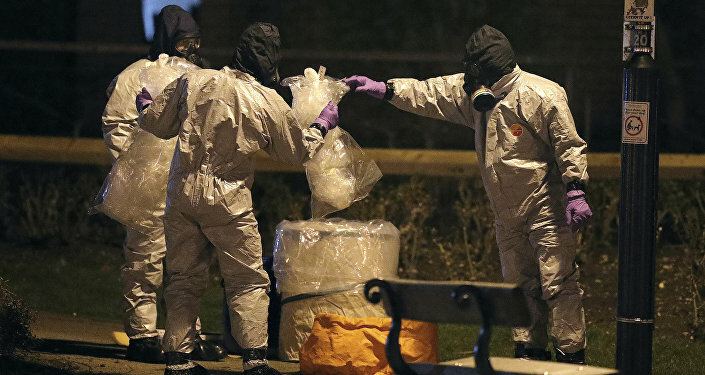 London accused Moscow of orchestrating the poisoning of the former intelligence officer with the A234 nerve agent. The UK side insists that this substance is similar to the Novichok-class nerve agents developed in the Soviet Union. Russia refuted the allegations. Brits to Reportedly Wall Themselves Off From Novichok Amid Skripals' "Miracle"